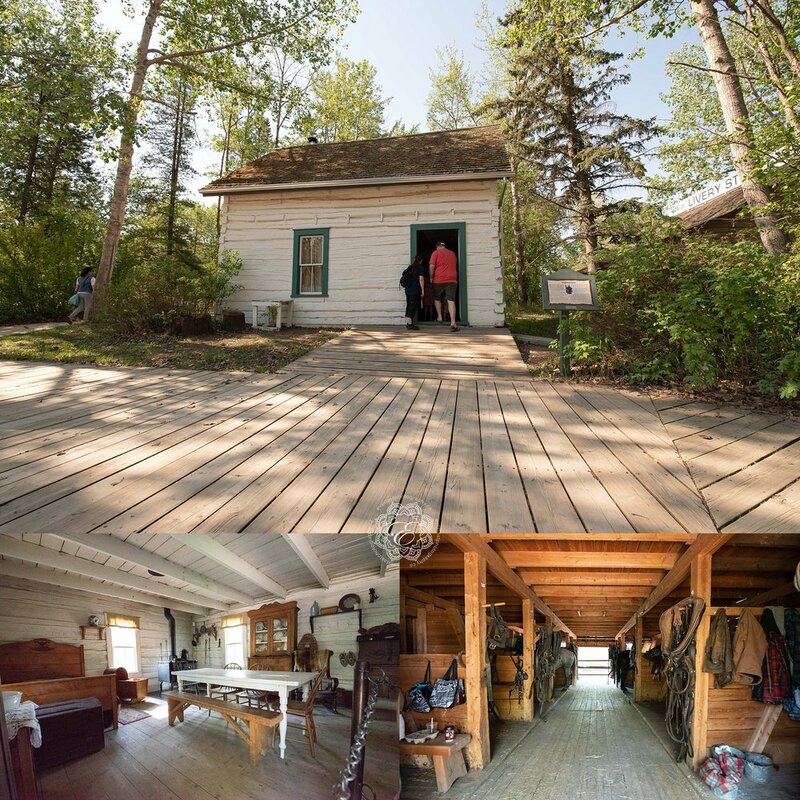 Recently, I attended a field trip to Fort Edmonton Park with my daughter's class. Altogether, there were four classes with our school and I think around one hundred people! It was a fabulous day and we couldn't have had better weather! The architecture is astounding and the amazing antique furniture, tools, and decor are jaw dropping! The children loved seeing the farm animals and watching the staff feed and care for the animals. The chickens and roosters were a favourite among the kids. We got the chance to see a covered wagon and the contents that would have been carried at the time these were used. The tipis were really interesting too and it was nice to get a brief history from the staff at each stop along the way so we could learn about the era. Children got a chance to see and feel different fur pelts and take a guess at the type of animal it was. The kids did very well at guessing each one. 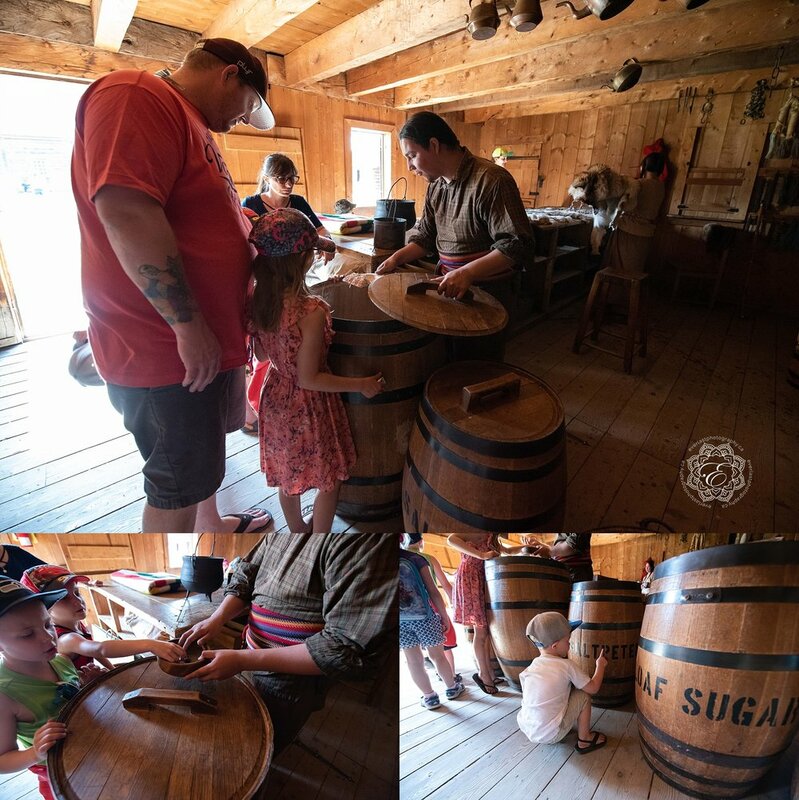 We also learned how people stored flour and what bullets looked like back in the 1800's in Canada. Exploring the buildings was fun too! We got to discuss the use of wood stoves for heating and the lack of electricity and how people handled this then. The students were also guided through a baking and craft activity that resembled what children would have participate in then. The children got to help roll out the dough and cut shaped out. Then we went upstairs where the kids got to create a simple craft to take home. 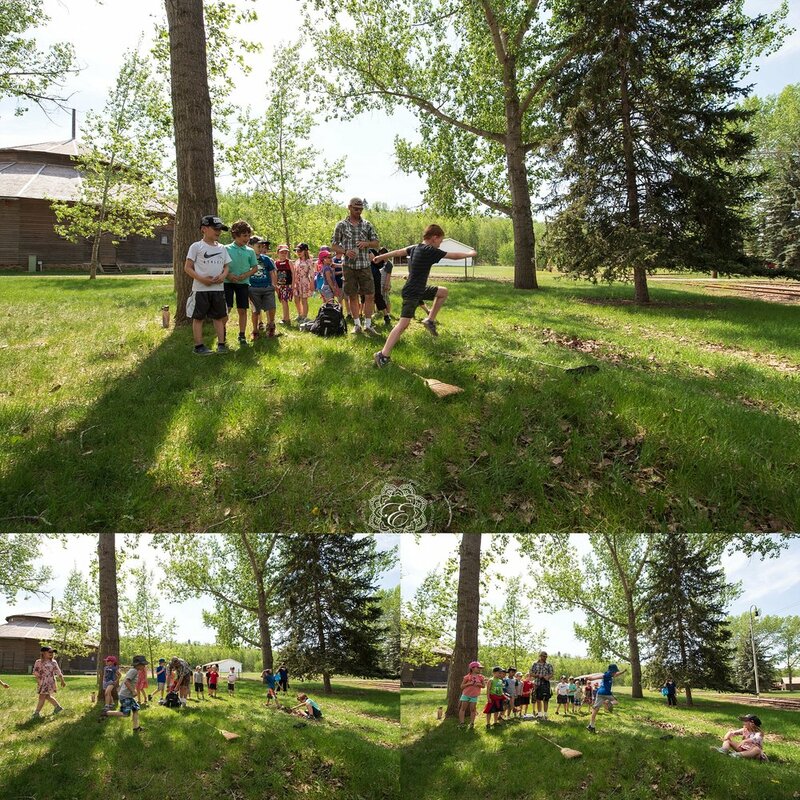 Everyone got a chance at a game which I believe was called "jump the river". The children would jump over two broom sticks that were placed further and further apart. Some of the kids could jump pretty far! It was then time to head to class. First the girls entered, then the boys. There were strict rules for everyone to follow and our guide played the role of a strict teacher. He quickly switched the lesson to french and the children caught on quickly as to the rules of raising their hand, addressing the teacher formally, and standing to speak. All the kids had to also pass a hand inspection to make sure their hands were clean. They all thought this was pretty funny. Then there was a light rivalry of girls against boys for answering spelling and math questions. Our guide also showed the children a variety of different punishments they would have faced if they had attended school here. One of them, as you can see, is holding books in either out-stretched hand! The kids loved everything about their new classroom and there were a lot of giggles.